Patricia Arquette brings Ben Stiller’s based-on-a-true-story mini-series to life. Ben Stiller's Escape at Dannemora debuts on Showtime this weekend. Here's everything you need to know about the limited series. 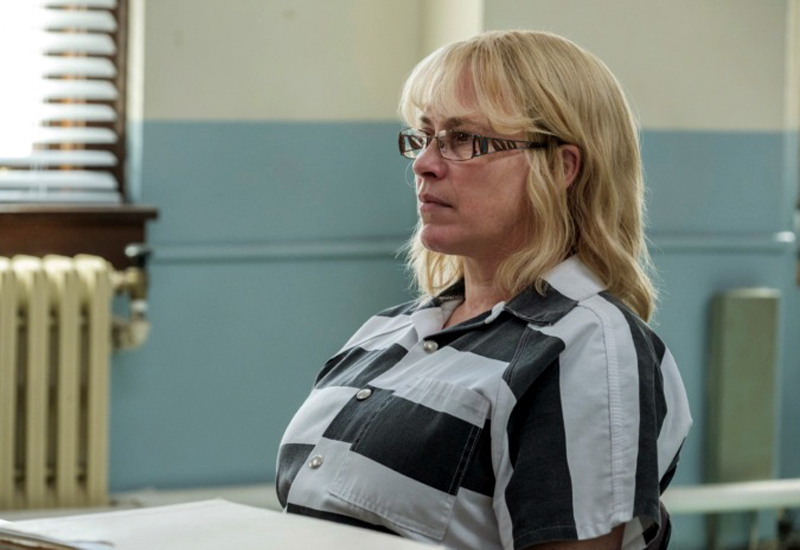 Throughout her interrogation by the New York state inspector general (Bonnie Hunt), ex-inmate supervisor Joyce “Tilly” Mitchell (Patricia Arquette) refuses to acknowledge that she did anything wrong. Not because she didn’t do anything wrong, because she did just that by helping convicted murderers Richard Matt (Benicio Del Toro) and David Sweat (Paul Dano) escape. No, Tilly won’t say she did wrong because she truly doesn’t believe it was wrong. 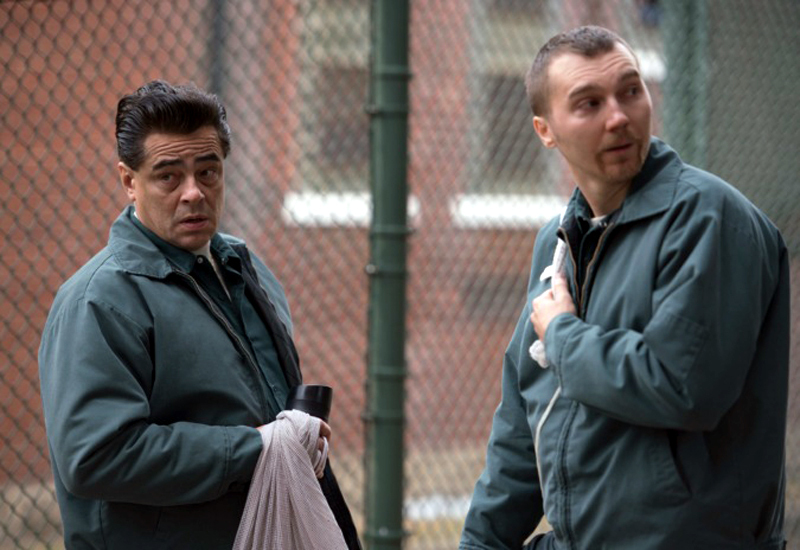 What is Escape at Dannemora about? Hence the setup for Escape at Dannemora, a new Showtime limited series from director Ben Stiller and writers Brett Johnson, Michael Tolkin and Jerry Stahl. Based on the 2015 Clinton Correctional Facility escape in New York, Escape at Dannemora dives into the tumultuous prison affair that Mitchell carried on with Matt and Sweat, and how it combined with numerous systemic issues at the Clinton facility to allow for the convicts’ escape and resulting manhunt. Anyone who followed the local story has it quickly became national news in the summer of 2015 likely knows the most important details already. Matt was shot and killed by the authorities 23 days after the escape, Sweat was shot and apprehended two days later, and Mitchell was charged and convicted for her role in it all. Yet what Stiller and company are doing with Escape at Dannemora is not simply rehashing the news articles with a bit more dramatic flair. On the contrary, the series is far more concerned with understanding why it all happened in the first place, and how, specifically, Mitchell became involved with two convicts in the first place. Hence why, despite Del Toro and Dano’s co-lead status as Matt and Sweat, Arquette’s take on Mitchell receives the most attention throughout the series. She is the key to everything that happened back in 2015, so in order to better understand it all, Escape at Dannemora rightfully chooses to focus on her. Which is great for anyone who’s a fan of Arquette, because her proven talents as one of the world’s best actresses are on full display in this program. She quite literally transforms herself into Mitchell, a woman discouraged by the limits of her life, and renders her in a convincingly sympathetic way that almost wants to ask the viewer if they would, or could, have done things differently. The Escape at Dannemora premiere is set for Sunday, Nov. 18, at 10 p.m. on Showtime.